/ Are Central Bankers Directing the Flow of Money without any Checks or Balances? 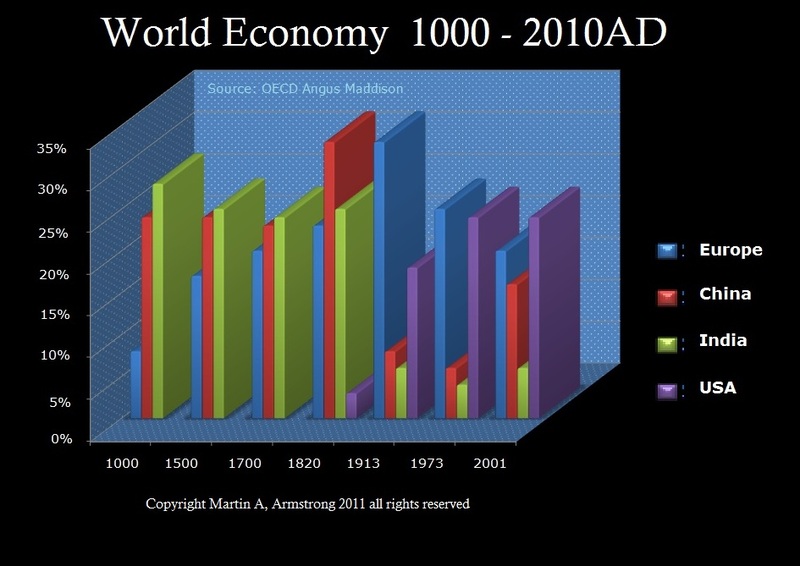 QUESTION: Do you think that the central bankers influence has triggered a massive shift in the world order? Do you think the IMF and the BIS have gone beyond their mandates? 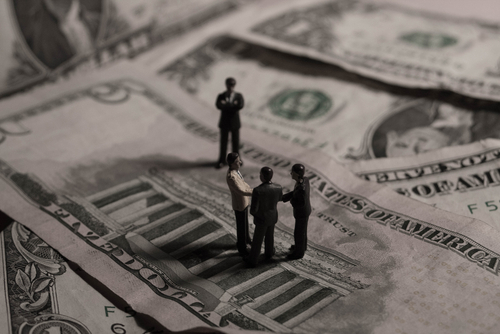 Are central bankers directing the flow of money without any checks or balances? Do you also think that there is an open door between private and central banking that creates endless manipulation of the economy with government support? These are some big questions. Do you care to tackle them? ANSWER: At the base of all your questions is the ASSUMPTION that they know what they are doing and that they conspire to create a specific outcome. With that assumption, I disagree. If that were true, nobody would ever want to talk to me. The mere fact that they do demonstrates that they are NOT in absolute control. They say if God did not exist, man would create him. This applies to markets as well. They assume that there is some dark force that lurks behind every event with the intent to create it. They would rather believe that this is the product of an intentional design for that means they can also intentionally reverse it. The far worse reality is that NOBODY is in control and this is simply the product of reaction and counter-reaction. I have stated before that every crisis is met with an immediate solution which sets the stage for creating the next crisis. There is no master plan, for if there was then the USA would remain the Financial Capital of the World. Nobody has ever accomplished that feat permanently. 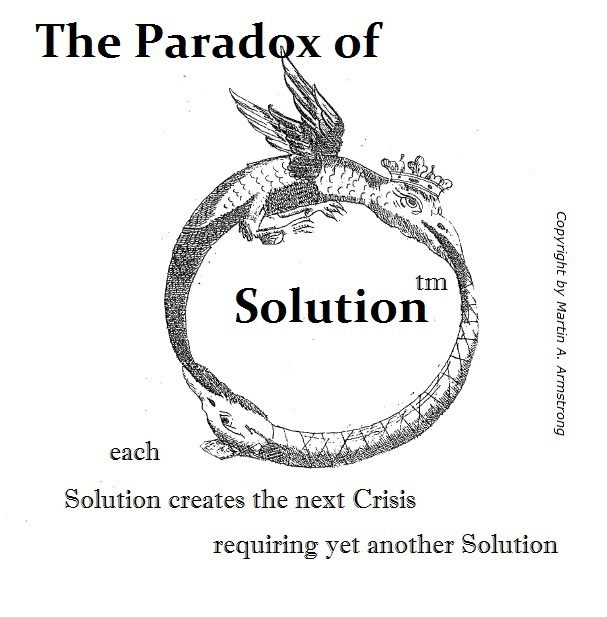 The existence of a business cycle clearly establishes that the best plans will never conquer reality. Socialism is dying BECAUSE they made promises they cannot keep and they will default in the end. That was never the intent from the outset. It is simply that in a representative form of government as a Republic, politicians will say whatever it takes to win the next election. There is NO LONG-TERM plan and that proves there is also no such dark force lurking behind events in absolute control. I worked back in the nineties to reform Social Security to convert it into a wealth fund instead of a slush fund for government debt to park. I could not get the Democrats to agree because they wanted to change fund managers when they regained power. It was hopeless. 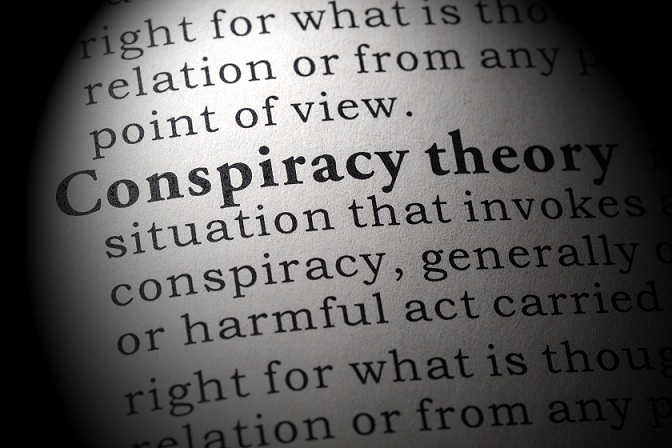 Nothing could be done to save the fund people of personal political greed and no long-term plan – the lack of any “conspiracy” theory for it was just: Show me the money NOW! You ask if the central bankers triggered a massive shift in the world order. That is kind of ambiguous. Have they disrupted the world order? That is probably a better question. The answer to that must be yes because the European Central Bank (ECB) has created an absolute nightmare that endangers the entire world economy. 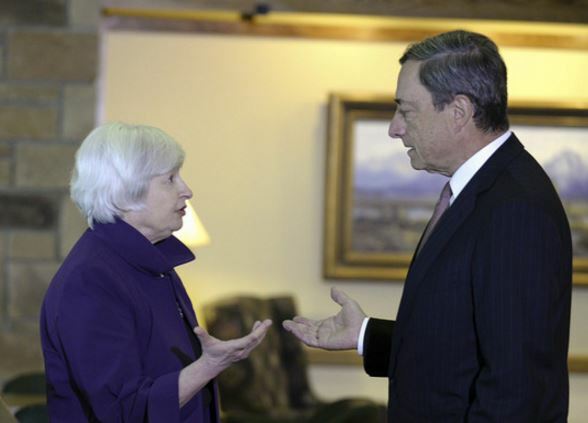 Yellen was, in fact, yelling at Draghi for his stupidity in moving to negative interest rates. He assumed it would force people to spend and reinflate the economy. It backfired and furthered deflation, causing people to hoard their money. The ECB has not stimulated the economy, but instead, it has kept governments on life support. Eventually, interest rates will rise exponentially because the ECB has destroyed the European bond market. No private investor will buy 10-year bonds at under 3%. Pension funds need 8% to break-even. So did Draghi conspire to disrupt the entire world economy? No. he was injecting a personal experiment that backfired and he is now trapped trying to leave office before it all blows up and he gets blamed by history. You then ask, “Do you think the IMF and the BIS have gone beyond their mandates?” The IMF has overstepped its authority and has interjected itself into the economic policies of Europe. 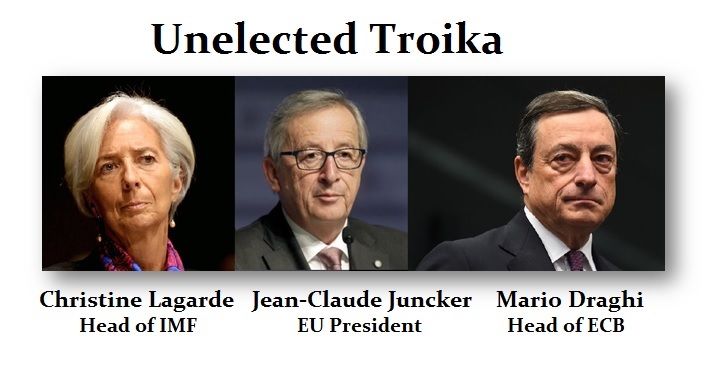 This made the IMF part of the unelected Troika. This is directly beyond its mandate and it has become an unelected entity that has influential power over policy – not dictatorial. The IMF disagreed with the actions of the EU against Greece. It did not have the power to overrule Brussels. Look at Haiti. The riots there are because of the IMF instructing them to raise taxes. All of this chaos is because governments are the biggest borrowers in society. This will be our doom and it is why when debt collapses it will destroy the Western economies as they function currently. If confidence in government is so disrupted, there will be no buyers for government debt. Then you will see taxes rise insanely and they will fight to retain control but lose as every other failed state throughout history. Your next question: “Are central bankers directing the flow of money without any checks or balances?” Central banks have been trying to accomplish that since 1927. They have utterly failed in actually altering the capital flows on any permanent basis. Their influence has been fleeting at best and only temporary. 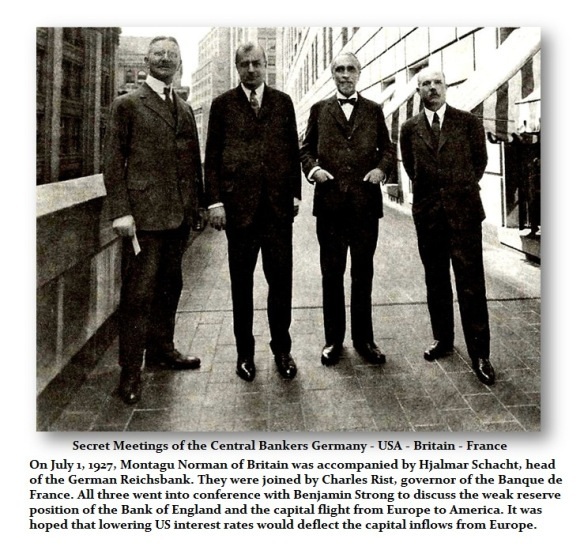 There was the attempt to alter the capital flows back in 1927 to deflect the capital back to Europe. The USA lowered its interest rates hoping that would send capital migrating back to Europe. It actually had the opposite effect and from that period onward, the US share market doubled in value and capital poured into the USA. The shift from debt to equities was on. Europe eventually defaulted on most of its national debts in 1931. Clearly, the attempt to influence the capital flows failed and it did not prevent the shortage of capital in Europe which resulted in the Sovereign Debt defaults of 1931. Your last question: “Do you also think that there is an open door between private and central banking that creates endless manipulation of the economy with government support?” No, that is absurd. Just look at the LIBOR scandal and huge fines for allegedly manipulating interest rates by the private banks v central banks which is their power with short-term rates. The central banks at best try to prevent bank failures, but that has never succeeded long-term. They do conspire insofar as they have made my firm the leading independent institutional adviser BECAUSE no bank can come out and say the Euro will crash for the central bank will be on the next phone call directing them to fire that analyst. The banks all have their analysis they peddle around, but the institutions realize it is all just “politically correct” and thus they come to us wanting to know what the computer is “really” projecting. There is a major difference between reality independent forecasting and “politically correct” forecasting. This is why I do what I do. The launch of Socrates is all about trying to provide that independent analysis that is free from “political correctness” which is so vital to our future. We cannot change the outcome if we do not really understand what is unfolding.